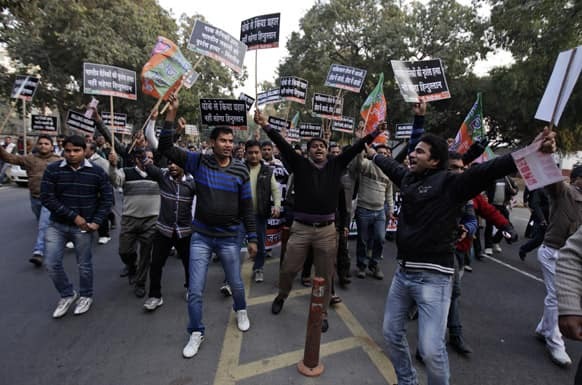 Supporters of India`s main opposition Bharatiya Janta Party (BJP) shout slogans during a protest against Pakistan in New Delhi, India. 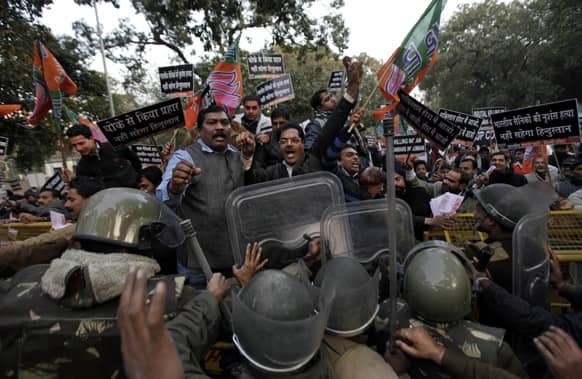 Supporters of India`s main opposition Bharatiya Janta Party (BJP) shout slogans as they try to cross a police barricade during a protest against Pakistan in New Delhi, India. 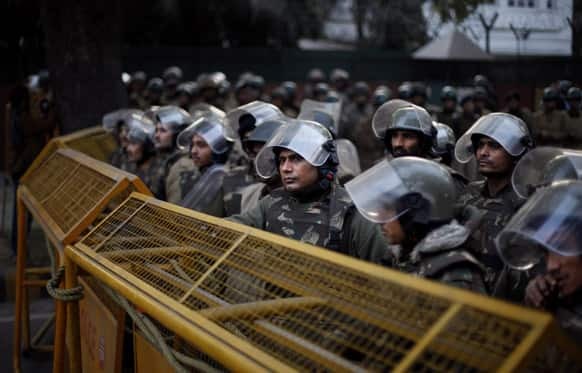 Indian policemen in anti-riot gear stand guard behind police barricades during a protest against Pakistan in New Delhi, India. 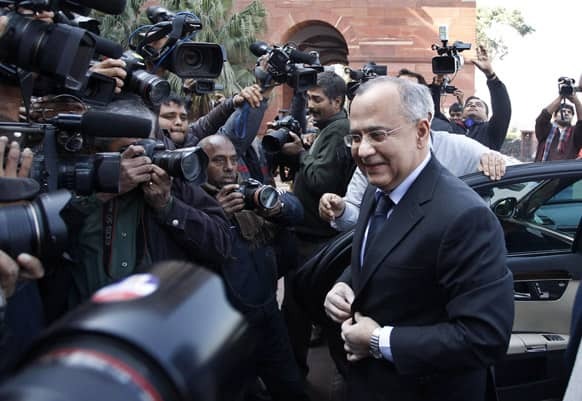 Pakistan High Commissioner to India Salman Bashir arrives at the Indian External Affairs Ministry in New Delhi, India. 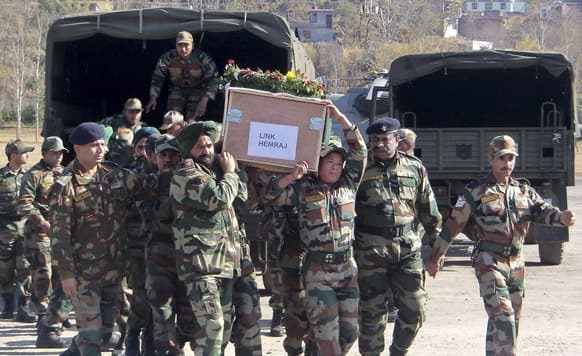 Indian army soldiers carry a coffin containing the body of a colleague who was allegedly killed by Pakistani soldiers, in Rajouri, India. 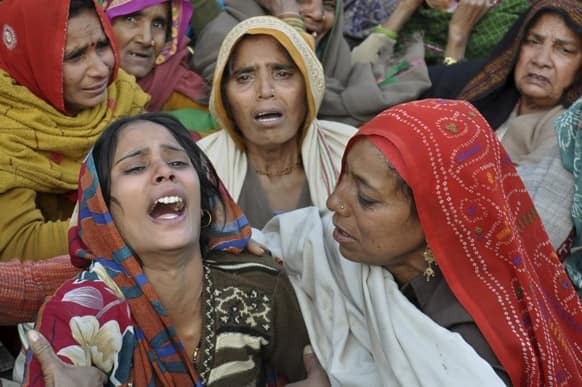 The wife of Indian Army soldier Lance Naik Hamraj, left, who was allegedly killed by Pakistani soldiers on the line-of-control in Kashmir, mourns before his funeral in Mathura district, Utter Pradesh, India. 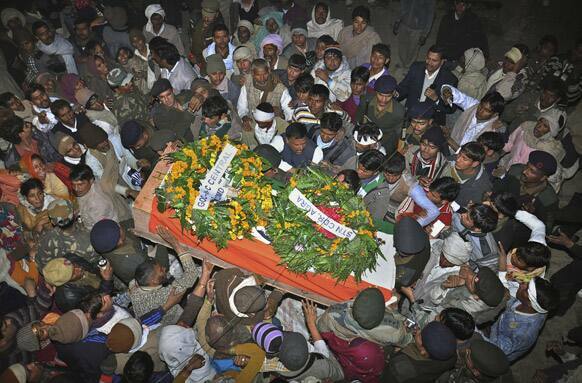 Mourners gather around the body of Indian Army soldier Lance Naik Hamraj who was allegedly killed by Pakistani soldiers on the line-of-control in Kashmir, during his funeral in Mathura district, Utter Pradesh, India. 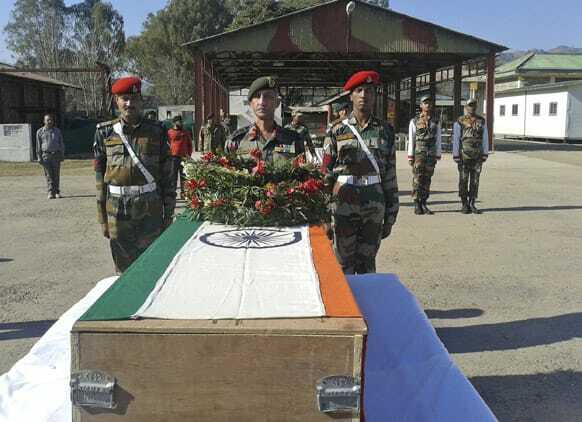 Indian army soldiers offer prayers near the body of a colleague who was allegedly killed by Pakistani soldiers, in Rajouri, India. 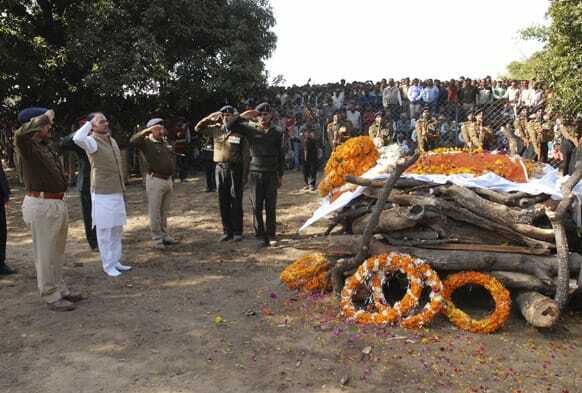 Chief Minister of Madhya Pradesh state Shivraj Singh Chauhan salutes the pyre of Indian army soldier Sudhakar Singh, who died in Kashmir, during his funeral procession in Sidhi district of Madhya Paradesh. 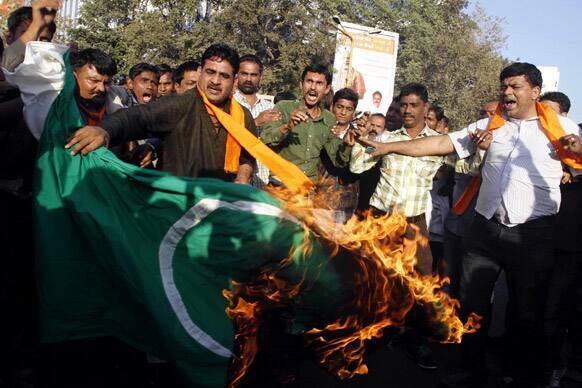 Activists of the right wing Hindu nationalist Bajrang Dal set fire to a Pakistani flag during a protest in New Delhi. 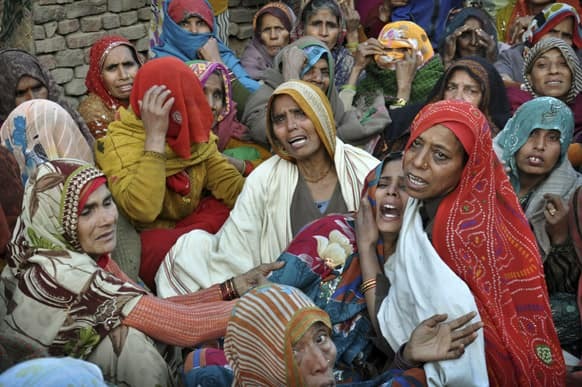 Activists of the right wing Hindu nationalist Vishwa Hindu Parishad, or World Hindu Council, burn a Pakistani flag during a protest in Ahmadabad. 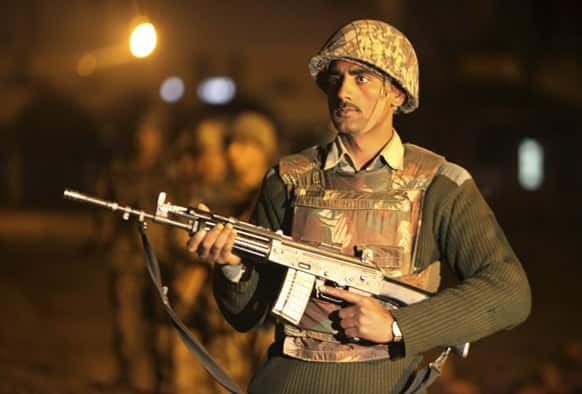 An Indian Border Security Force (BSF) soldier stands guard during a night patrol near international border fencing at Suchet Garh in Ranbir Singh Pura, about 27 kilometers (17 miles) south of Jammu. 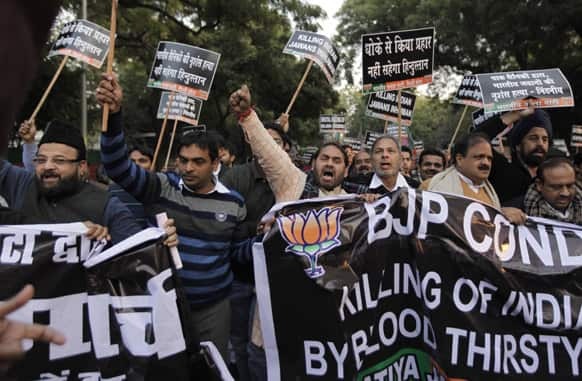 Activists of hindu nationalist Vishwa Hindu Parishad (or World Hindu Council) burn a flag of Pakistan during a protest in Hyderabad.